Natural healing using scientifically proven medical machines that work with the innate healing powers of the bod and nature. For use in the comfort of your home, or within any health business. Holistic therapy. NO drugs, NO Invasive procedures, NO side effects. Top quality, built to last, for everyone in the family. The Chi Machine, Far Infrared Sauna and E-Power. 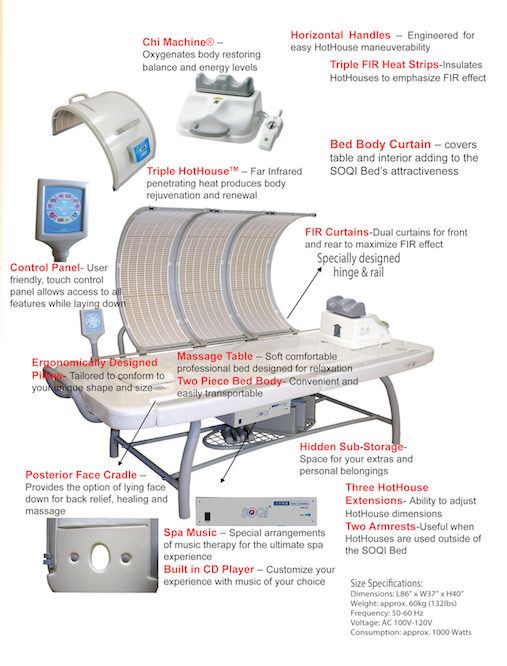 HTE Products include the best Far Infrared Sauna on the market. Millions of units sold worldwide. All machines are classified as medical device, safe and effective, for all ages and body types. Fully approved by the Australian TGA. Chi Machine International is an Independent Distributor for Hsin Ten Enterprise (HTE). All products are shipped directly from HTE head office, Los Angeles, CA, USA. Prices do not include shipping quote. 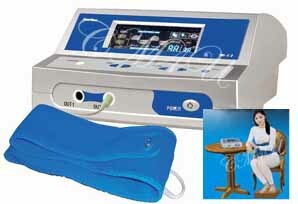 Motion energy for temporary increased circulation and oxygen, stimulation of the lymphatic system (metabolic waste elimination), internal massage, temporary muscular pain relief, healthy back support (specific motion lying flat), ANS balance, mental focus, lymph drainage (proven in clinical trials), relaxation, sounder sleep, Chi activation and more. This is the original Chi Machine, built to last for 15 to 20yrs. With a strong motor, perfect oscillation speed and quiet motion. Who cannot spare 5-10 minutes a day to de-stress, balance and heal the body? Perfect for all ages, for athletes as well as parents, children, office workers, the elderly and those with health challenges. Daily movement is a must to stay healthy. The Ultimate Portable Home Health Spa. Natural healing and relaxation anywhere, anytime. The Sun Ancon Chi Machine and the Far Infrared Sauna Dome. Far Infrared heat (FIR) energy is used for pain, swelling and inflammation rapid relief, toxin elimination, accelerated healing, improved circulation, healthy lung function, back support, relaxation and more. The Far Infrared sauna dome is the best on the market - no other company has been able to duplicate the advanced technology. A topical warming unit for the entire body. x2 Extension stands: 16 cm each. Placed on either side will raise height to 45 cm. There are 4 castors attached to the bottom of the dome for easy movement. Far Infrared sauna for all sizes, for all the family, including pets. Without it, life cannot survive or thrive. Cutting edge natural health therapy. 5yr life expectancy with daily use. 6 month warranty on E-Power belt. Has port for two belts (comes with one belt). Time: 0, 30, 60, 90 mins. Electrotherapy is electrical stimulation of the energy within the body which thereby reconnects the circuitry of the body and helps to balance the natural frequencies. The E-Power machine recharges the body by activating the ATP enzyme promoting hours of energy, promotes pH balance, boots negative ions that make us feel great, pain relief, promotes stabilization of blood sugar levels, and anti-aging properties. The negative potential of the body overall is increased resulting in improved health and revitalization. There are no electrical shocks involved, in fact no sensation is felt other than perhaps a slight tingling for a few users. Also known as Electro-Medicine or Bio Resonance. the feet, legs, hands and wrists. or those who have lost feeling sensation. Relieves pain, soreness and fatigue. Contact Us 24/7 - Any questions, anytime. Head Office Los Angeles, CA, USA. As shipping is expensive, we recommend if you, family or friends visit the USA, order in advance of arrival, and take the machine back on the plane. Be sure to request 220v. Qi - Life Force Energy. Natural health therapy using the power of the sun and Chi combined. (see individual unit prices at top of page). The Far Infrared Dome 'sweatless sauna' and Sun Ancon Original Chi Machine passive aerobic respiration exerciser for combined energies: increased circulation and oxygen, toxin elimination, healthy back support, accelerated healing, pain relief and deep relaxation. Thousands of people are looking for alternative, natural health therapies due to high medical costs and failing conventional health care. HTE Australia offers a portable, modern, holistic, total body health experience, based on advanced Far Infrared thermal therapy technology coupled with passive aerobic respiration exercise. 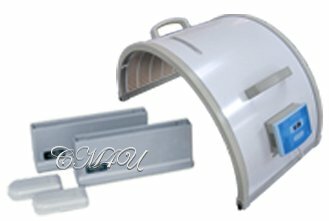 You can now integrate this unique Far Infrared heat therapy into your current business, or create your own personal home setup. By using one to three Far Infrared Dome units with one Sun Ancon Chi Machine, you create a channel of soothing Far Infrared heat for the entire body. 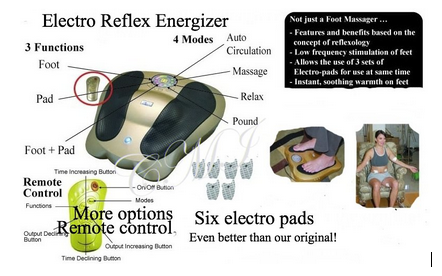 The experience has proven health benefits plus stress release and complete relaxation. By using the SOQI set up, you may promote and support pain relief and elimination of stagnant, toxic energy, using natural healing energy, critical for a healthy mind and body. Cleanse, release, eliminate, heal and rejuvenate. In-depth information about the natural therapeutic benefits of natures energy - music, colors, food, water, your home and your body - and why the machines work. x3 Far Infrared Sauna Domes and x1 Chi Machine on a padded massage table, with one control panel, built in music speakers and MP3 player. The SOQI Bed is only available in the USA. The SOQI Bed - includes a built in MP3 player which is adjustable on the all in one control unit, located to the left of your head as seen in the photo above. The music and the Chi Machine puts you into a meditative alpha state thus releasing stress, whilst the Far Infrared domes radiate serious healing energy and promote deep relaxation. No Interest - Business Tax Write-off. For Home Use or Health Care Professionals. Open your own SOQI Health Spa and make a difference by helping individuals and family in your community. 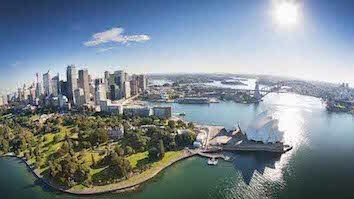 We already have SOQI centers, located in QLD, NSW and VIC and Hobart, Tasmania. The machines may be purchased individually. Outstanding Australian athletes that have supported and used the Chi Machine: World boxing champions, Kosta Tszyu and Solomon Haumono, plus Queensland's Cairns Taipans basketball league team. Medical associations that use and support the Chi Machine: Sun Ancon Chi Machines are used in St. Vincent's Lymphoedema Centre in NSW, the MS Society, the Diabetes Association, and The Aged Care Associations, to name a few. Flinders University - Lympoedema Clinical Trials. Secondary Lymphedema and Venous Oedema.